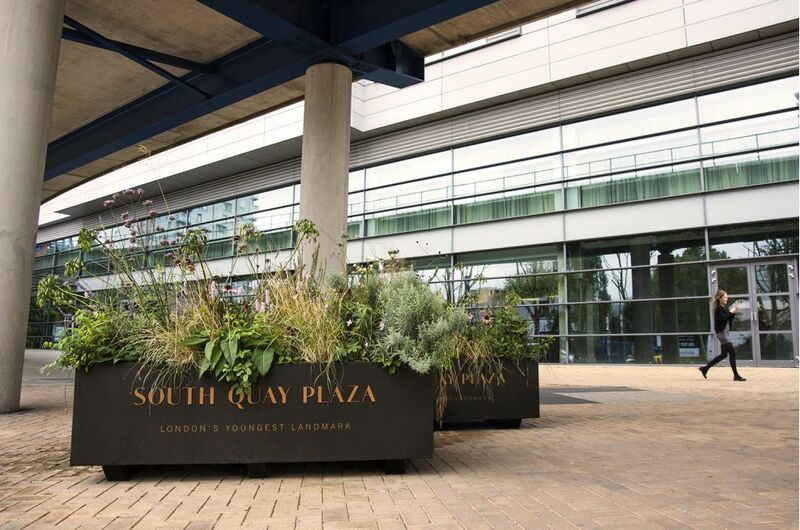 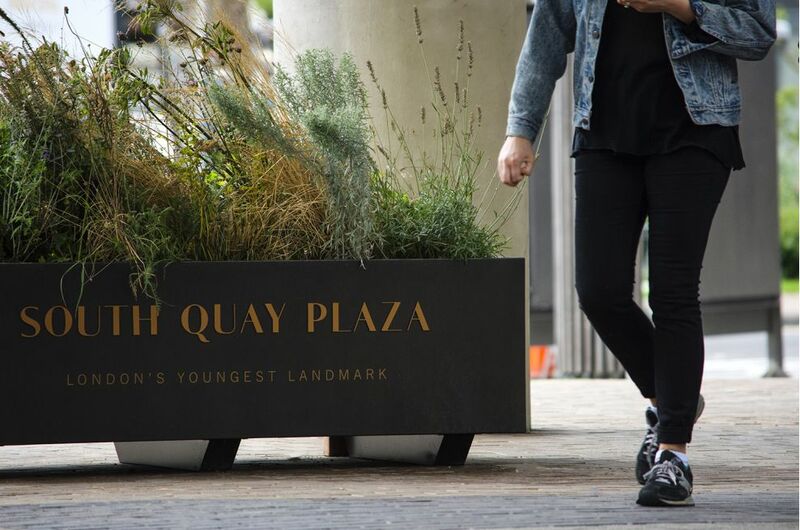 Bespoke powder coated steel planters were commissioned for Berkeley Homes’ landmark South Quay Plaza development – designed by Foster + Partners, and set to be one of the tallest residential buildings in Europe. 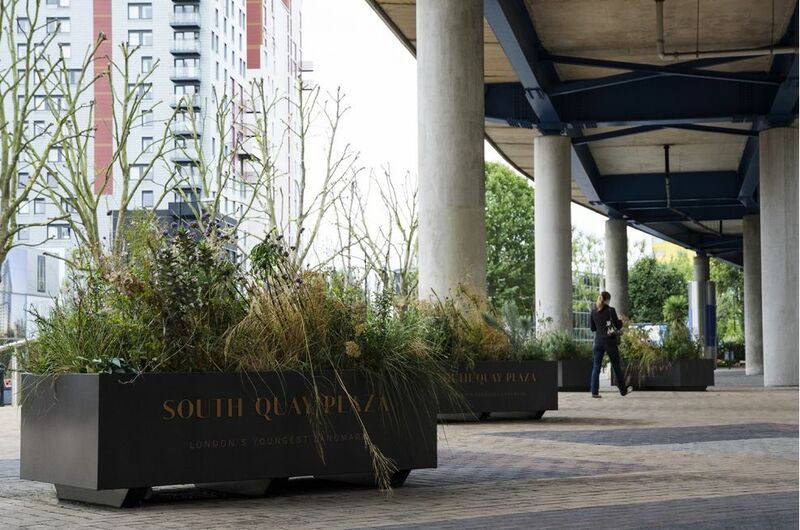 The initial installation of 16nr. 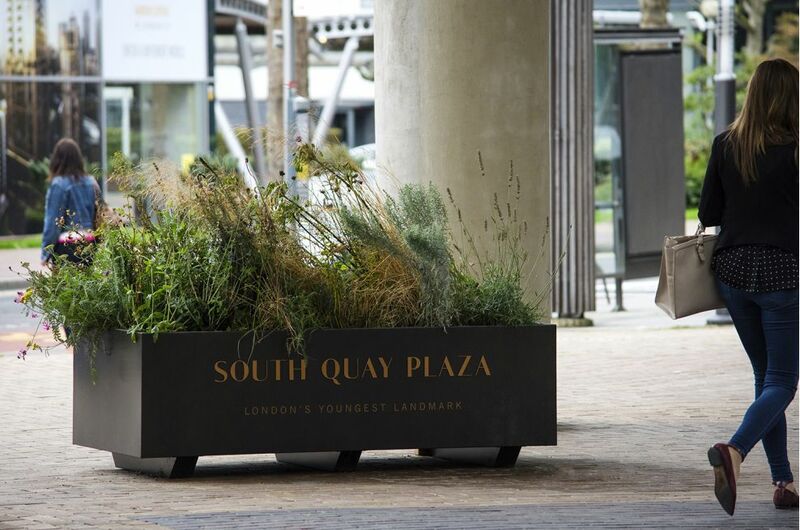 metal planters are used to green the approach to the development’s Marketing Suite, along the pedestrian route from South Quay DLR. 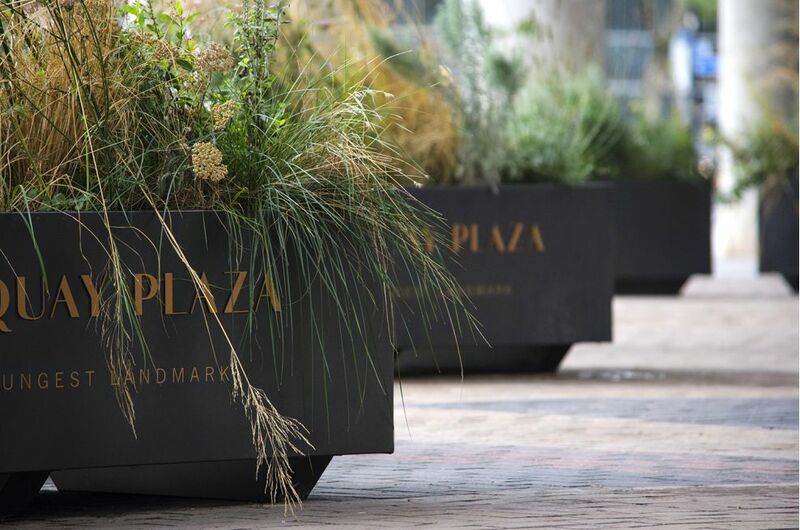 The planters [dims. 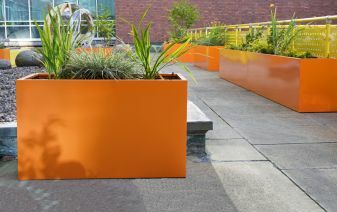 L 1800 x W 900 x H 595mm] were manufactured from 1.5mm thick Zintec steel, polyester powder coated to Interpon Collection Futura 2014-2017: Manganese 2525 YW280F. 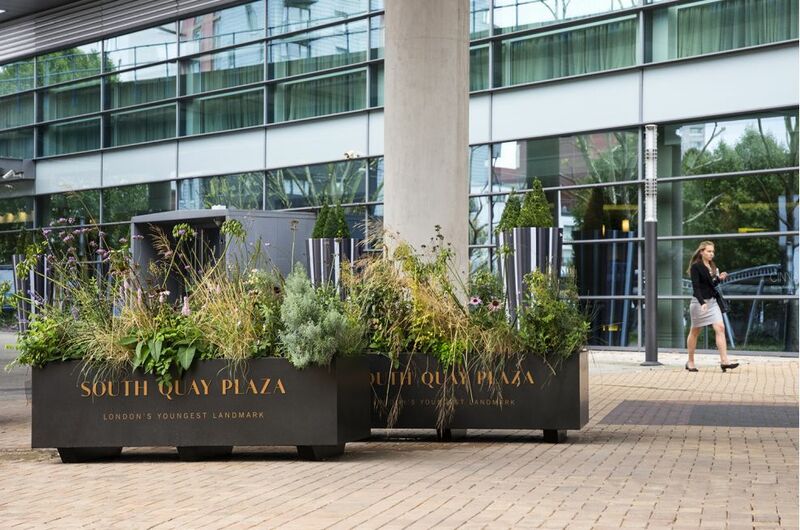 The planters included H 95mm runners to enable movement by pallet truck, and IOTA also supplied a water reservoir system solution for each planter. 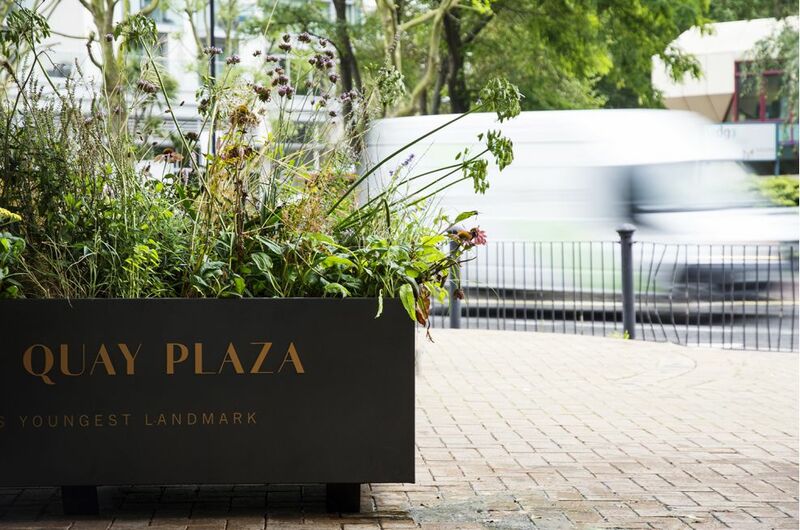 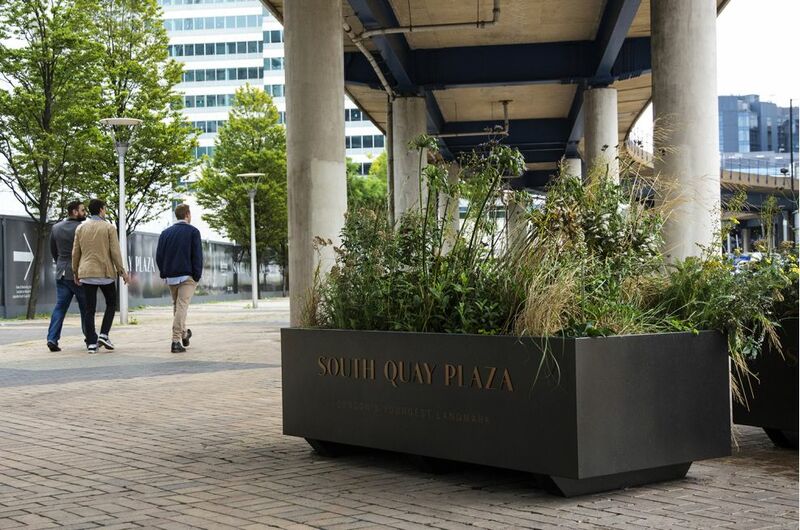 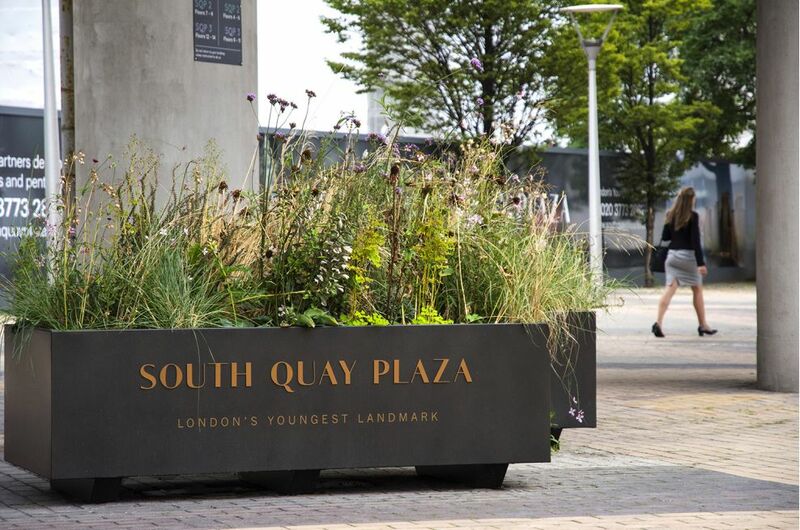 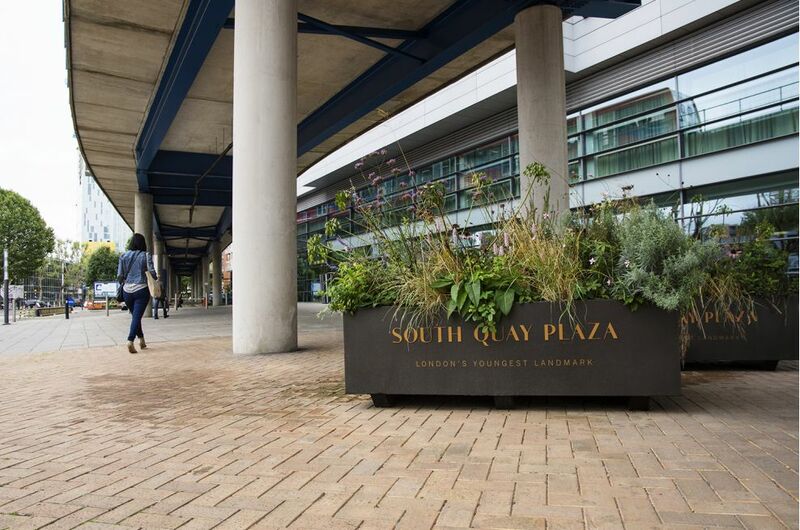 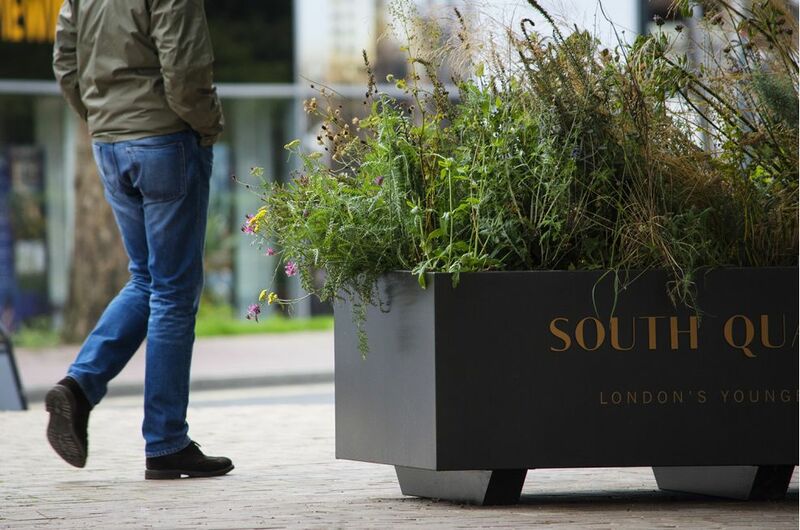 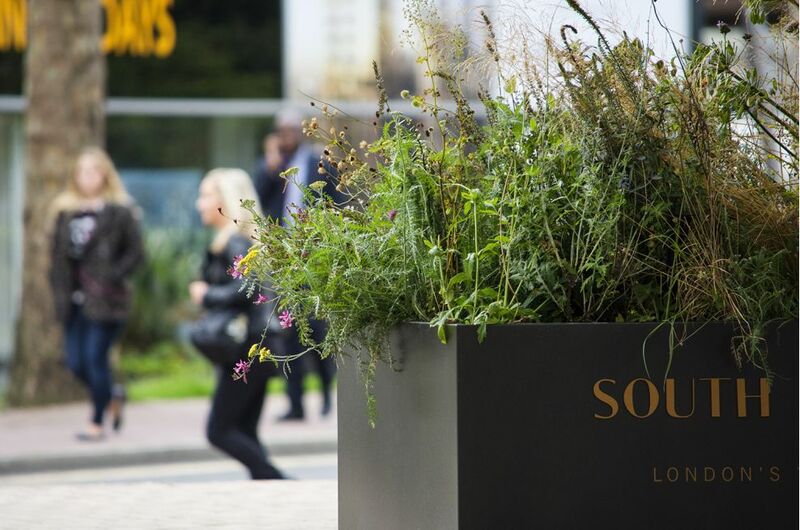 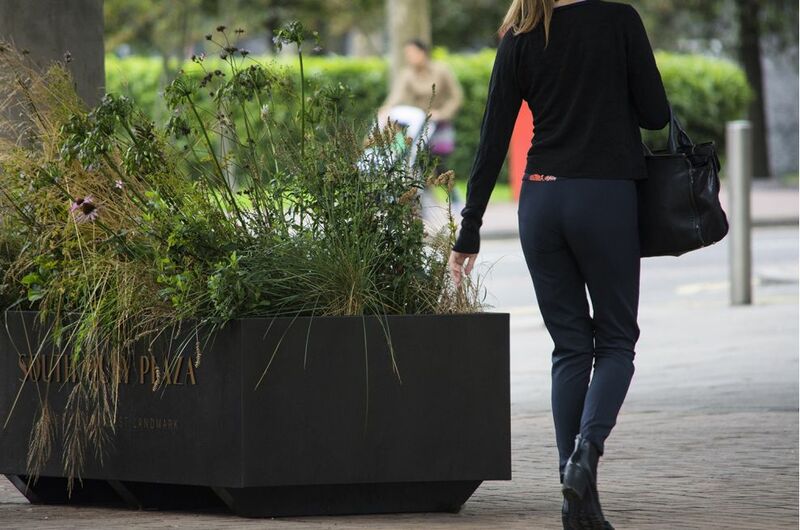 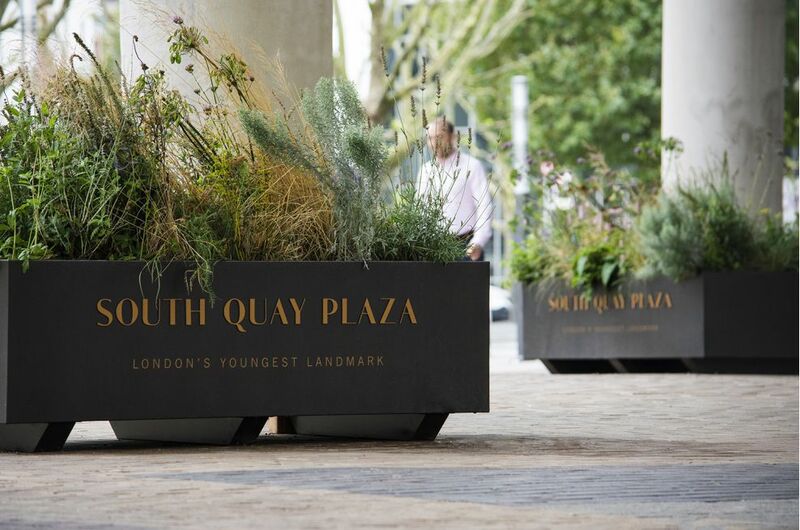 The planters were branded with a combination of raised lettering and a printed vinyl decal; and they were designed and specified by the multi-disciplinary design consultancy HTA Design LLP. 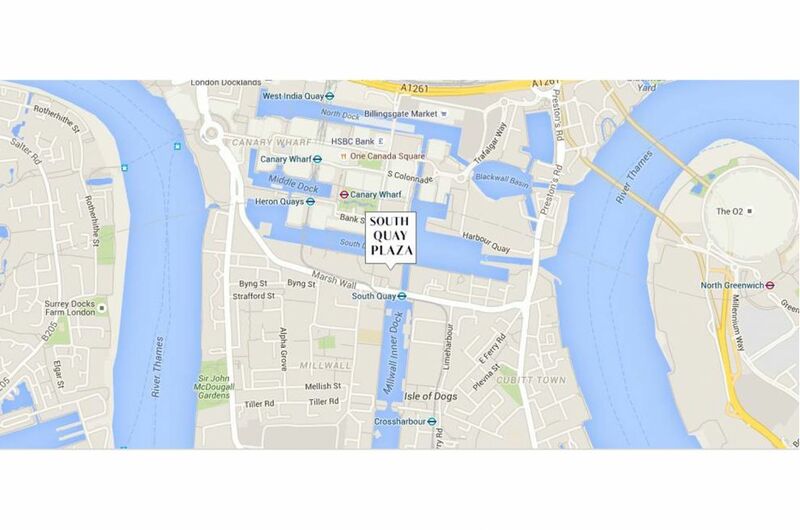 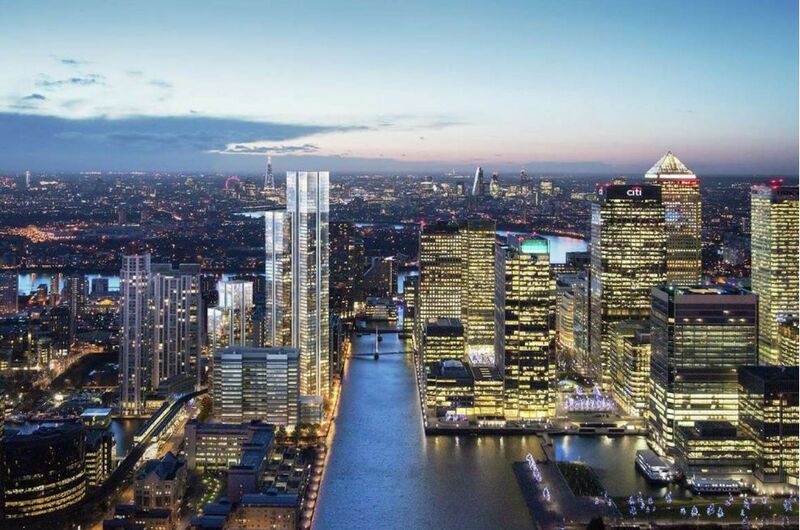 Developed by Berkeley Homes and designed by Foster + Partners, South Quay Plaza will be one of the tallest residential buildings in Europe. 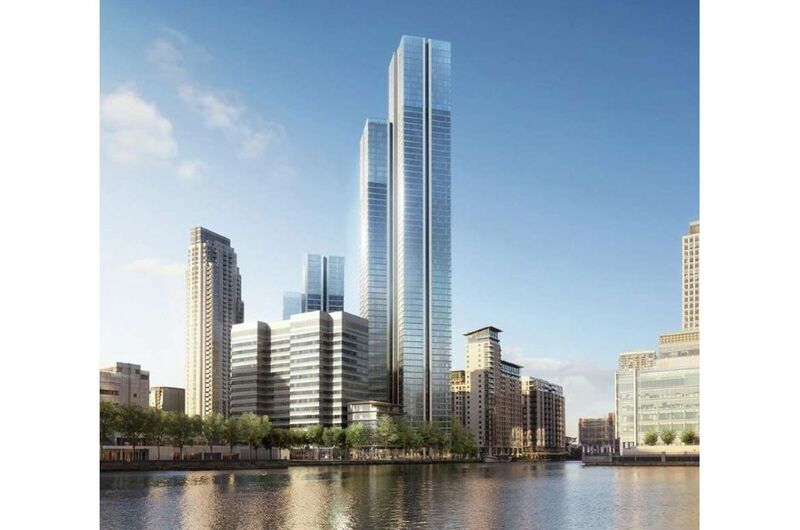 South Quay Plaza will consist of two slender, glass and steel towers – the highest rising to 68 stories – and will bring a new focal point to the London skyline. 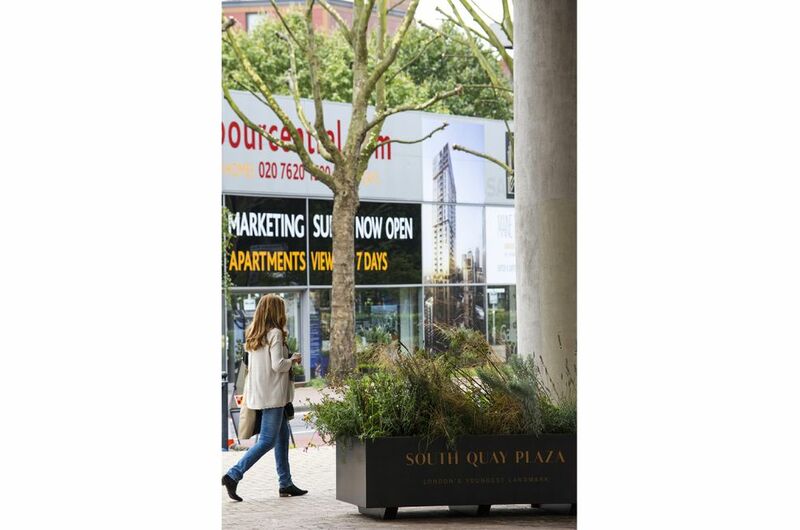 This new mixed-use, water side development will offer a selection of studio, one, two and three bedroom luxury apartments and penthouses; all set within 1.6 acres of landscaped gardens, just a few minutes' walk from Canary Wharf.